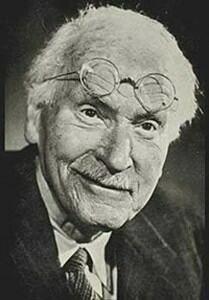 There was once a great psychologist by the name of Carl Jung. In an interview shortly before he died, he was reflecting upon the thousands of people who had come to him for help. He concluded that the most prominent of people’s problems was a lack of meaning to their lives. They were often highly successful people, but they did not know why they were still alive. Woody Allen in his inimitable way puts it a little differently. He says in modern life we have no spiritual centre. He says we are adrift, alone in the cosmos wreaking monstrous violence on one another out of frustration and pain. The trick is to avoid the pitfalls, seize the opportunities, and get back home by six o’clock. I believe the lack of meaning or purpose in life is really one of the most widespread sources behind the problems of life – social and personal. Maybe it is a question you ask of your own life from time to time. And maybe you ask yourself those questions at some times more than others. But it need not be. People who say or think those things in a way that lets them dominate their lives have immersed themselves in secondary rather than primary forms of meaning. There have been outstanding novelists like Fitzgerald or Patrick White or Jean-Paul Satre who have been so immersed in the processes of life, in making a living, and in achieving status in their fields that they have lost sight of the primary reason for living. This is what I want to speak about. It seems to me that if you are to find a purpose for living, if you are to find a primary meaning to existence, then certain conditions must be satisfied. The meaning to life must be relevant, and it must be the same whether you are young or old, healthy or sick, a genius or average, fit or unable to last five minutes on a squash court. 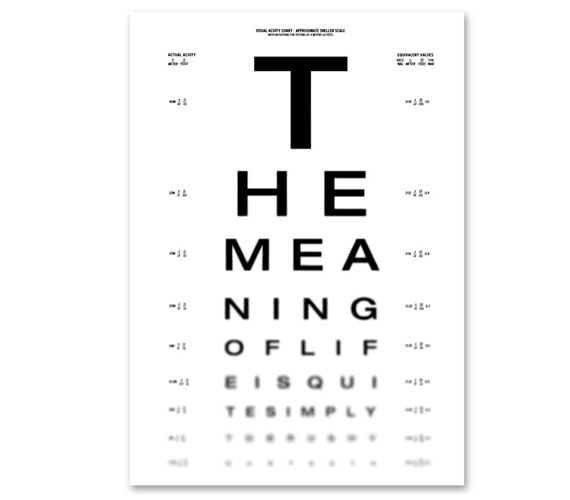 Any claim to have found the meaning to life must be relevant to people who are musical or unmusical, to the present and to all future generations. It must be relevant to bodily life and prayer life, to the spiritual and the sexual. It must be relevant conceptually in our thinking, yet must have the power to motivate and help us. It must be relevant in a Communist country and a free one, in war and peace, in life and death. Above all, a claim to be the purpose of life must be life-affirming, positive and relevant to the 3am experiences of life. It must be able to undo the hurts of the past, if the past is to have a place in the framework of meaning, while also opening up positive possibilities for the future. In Luke 24 we find two men who thought they had found the meaning to life. They had pinned all their hopes on Jesus of Nazareth, the great prophet. But now their lives were full of disappointment. Bewildered, they were going home. It had been exciting while it lasted, but back to reality. They thought the saga of Jesus ended that bad Friday. So in Verse 17, Luke tells us they were feeling sad, gloomy, dismayed. Jesus comes to these two men in their depressed state. He knows exactly what they are feeling and thinking, and so asks them in Verse 19 to talk about what has been happening. In Verse 21 it is clear why they were sad. ‘We had hoped he was the one…’ But the inference is that he was not. He had come like a comet in the night sky, shone spectacularly for a little while, then disappeared. His coming wasn’t a helpful event for them. It wasn’t relevant to them in their 3am feelings… despite some sensational gibberish about some women and a vision of angels. So the resurrected Jesus shows these sad men the meaning of his coming in two ways: through the Scriptures and then through a meal. Then he is gone as fast as a school holiday. He returns soon after so that all his disciples can be certain that he has risen as the first person of all time who will rise after death. He rises to show them the primary meaning of life is not found in the processes of life, in the essays, the homework, the exams, the jobs, the successes, or the hurts in life, as significant as they may be. Rather, meaning is found in relation to him first, and then through him in all that makes up the life you will lead this week. Let’s check that out against the criteria of meaningfulness. Is a faith relationship to him relevant when you are in your teens and in poverty with only one good sweater? Or aged and perhaps better off? I think so. Is Christianity relevant to your value as a person irrespective of whether you get As or Ds? Is he relevant to the able and the healthy, and to the disabled and the weak? To the present and to all eternity? I think so. Is he so life affirming that your confidence in yourself is strengthened? Do you see that a part of Christian wholeness is to love yourself in the right way? Yes, yes and yes. In Christianity, the meaning of life is found. Where are you in your journey today? Are you like these disciples? They knew where they were going geographically, but did not know about the meaning of their lives. Will you allow Jesus to come alongside you and to show you that you are his? You are not your own, and that is why you were born, and that is why you have a future. Jesus can be known wherever you break bread – in church, the office or the courtyard. Are you like these two who had hoped that he would be the one who would change their lives dramatically, but he is still in the tomb, as far as you are concerned? Let me tell you again. Jesus is known in the breaking of the bread. He is the host, you are his guest, and at this meal, and indeed in life itself. 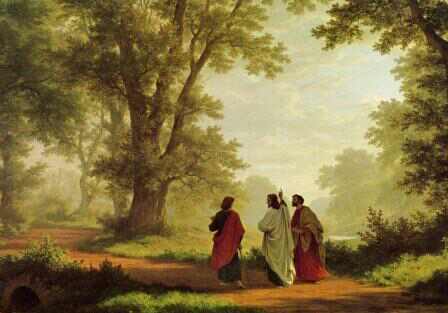 The only one who gives your life meaning waits for you to give him the invitation that these two disciples almost did. ‘Stay with us,’ they said. Won’t you ask the Lord to come into the home of your heart and stay with you as the meaning giver? For now and forever. Then your heart will burn within you as theirs did through his powerful presence.